Available in a variety of colors, our Roller shades are right for any home or office decor. Timless roller shade fabric provides the highest possible level of privacy of all the roller shade materials we carry. This is a blackout material that is great for many settings. Whether by themselves or paired with other window coverings, they make a great choice for any setting. All of our roller shades are manufactured with a continuous clutch control system which means these are not your Grandma's old roller shades. 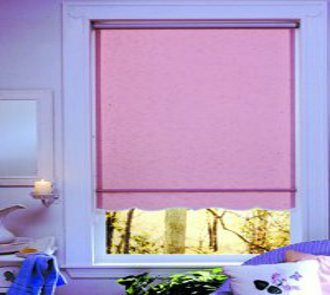 Our roller shades are also available as a spring roller shade.